The court consistently ignores US/NATO imperial war crimes, prosecuting their victims instead. Established by the Rome Statute of the International Criminal Court on July 1, 2002, it’s mandated to prosecute individuals for genocide and aggression, as well as crimes or war and against humanity – the highest of high crimes. Never in the court’s near-17 year history did it fulfill its mandate, a disturbing record. Since established in 1945, the performance of the UN is worse over a far longer duration. Established “to save succeeding generations from the scourge of war, which twice in our life time has brought untold sorrow to mankind,” its near-75-year history reflects consistent failures. Its leadership did nothing to deter war, human rights abuses, or other high crimes of powerful member states, notably the US, other Western ones and Israel – responsible for countless high crimes of war and against humanity, committed with impunity. In 2016, ICC chief prosecutor Fatou Bensouda said she’d launch an investigation into Afghanistan war crimes after US November elections. Its high crimes of war in Afghanistan and other war theaters are well documented – notably damning information in the Afghan War Diary and Iraq War Logs revealed by Chelsea Manning, published by WikiLeaks. There’s enough credible information in them to indict top officials of three US regimes, most current and past congressional members for funding US wars, the entire Pentagon high command, and countless subordinates below them. Washington rules call for prosecuting its victims, not US government and military officials responsible for the highest of high crimes. It prohibits the extradition of anyone from America to the ICC. In a November 2000 open letter, Henry Kissinger, George Shultz, Zbigniew Brzezinki, former CIA director Richard Helms, and other US signatories said Washington must put “our nation’s military personnel safety (sic) beyond the reach of an unaccountable international prosecutor (sic), operating under procedures inconsistent with our Constitution (sic)” – when it comes to enforcing US accountability for high crimes too serious to ignore. Bensouda found what she called “a reasonable basis to believe that war crimes and crimes against humanity have been committed in connection with the armed conflict in Afghanistan” – a colossal understatement. “We will let the ICC die on its own. 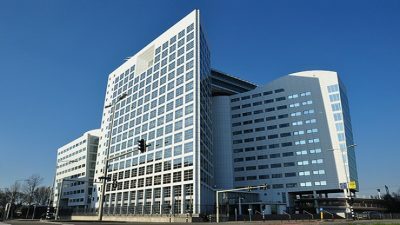 After all, for all intents and purposes, the ICC is already dead to us” – except when prosecuting US enemies, most often unjustly accused of imperial crimes committed against them. The above views represent the position of other Trump regime hardliners. On Friday, intimidated pre-trial ICC judges backed off. A statement rejected Bensouda’s request to launch a formal inquiry into war crimes committed by US forces in Afghanistan – citing what it called practical considerations, making chances for success unlikely. “ ‘(T)he complexity and volatility of the political climate…makes it extremely difficult to gauge the prospects of securing meaningful cooperation from relevant authorities” in the US, they added. “It is a dark day for justice,” he stressed. So is every day that US, NATO, Israeli, and their imperial partners’ high crimes of war, against humanity, and genocide go unpunished. Unaccountability assures more of the same in perpetuity – justice for perpetrators ruled out as a way to stop it. “And we call ourselves the human race” – with attribution to John F. Kennedy, expressing opposition to a preemptive military strike on Soviet Russia with nuclear weapons when the US alone had operational ICBMs able to deliver them.